Happy with the Hebrew Bible! I’m a Noahide woman, and I’ve decided that I’m just obsessed with the Hebrew Bible’s story of the 10 Plagues, the first Passover in Egypt, and the Exodus of the Israelites. And also with knowing about what the Jews were commanded to do from then on in commemoration of those events. From its observances to its story … it’s just amazing to me. I think a big part of my amazement is that when I was growing up as a little girl in a non-Torah religion, I thought I “knew” the story of Passover, but now I’m utterly stunned at how much of what I was taught wasn’t true. I can’t get over how different it really is! I also experience amazement with learning the stories of Creation and Noah from this Chumash, but not to the same degree. I wonder if a lot of other Noahides also experience this? Do any other Noahide students come out from their false religions or beliefs, read the traditional Jewish (i.e. true) version of these stories, and just get blown away? I don’t mean to be redundant, but it’s so … awe-inspiring. Every week (even if I stay home on Saturday morning instead of attending a local Orthodox synagogue service), I read that week’s Torah portion with the traditional explanations that are printed in my Artscroll Chumush book. Sometimes I find myself so interested in the explanations that I come up with more questions. 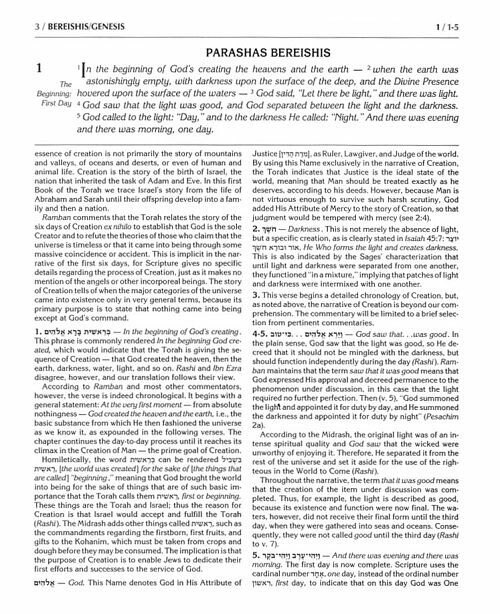 For example, I read that while the plague of darkness was over Egypt, some of the Israelites were so assimilated into the pagan and lustful Egyptian culture that they didn’t merit – nor want – to leave, so G-d caused them to die and get buried during the darkness, while the Egyptians couldn’t see anything, but there was light for the Israelites who merited to live and be redeemed. If those who were unworthy would have died during any of the other plagues, the Egyptians would have seen and would have said that G-d wasn’t making a difference between themselves and the Israelites. Also, I learned that the Israelites who were left living were asked by G-d (through Moses) to go into the Egyptian’s houses while the Egyptians were stricken with darkness, to see what valuables were there and where, but they didn’t take anything. That won them favor with the Egyptians after the darkness was over. That’s so cool!